I was concluding a Better, Faster, Cheaper workshop last month with a wonderful set of government managers. These people were bright; they got the concepts; and their hearts were in the right place. But they felt defeated: Tired of fighting to change a seemingly unchangeable system, these folks were worn out. They peppered me with questions that were all variations on the same theme: “Why bother? Why try?” The only answer that kept coming to me was, “Because it’s the right thing to do.” I didn’t like the answer as it left my mouth each time. It felt like a pat cliché. But as I reflected on it on the flight home I came to be at peace with it. It was the right answer. It is the only answer. The world needs change agents. Your organization needs change agents. You can be that change agent. Not for the glory or for advancement — you probably won’t get either. Not for admiration or even convenience — the path of a change agent can be lonely and often painful as you try to help others see what is possible, prepare for what is inevitable, and let go of what has sustained them thus far. Like great artists, change agents are usually only admired after they are gone. So why bother? It is easier to do nothing when you’re only concerned about your well-being. Customers in government are often hostages with no choice. Who cares if they are happy? The processes are arduous, cumbersome and get in the way of helping people. So what? The workplace policies and performance management initiatives are sucking the passion, meaning and personal satisfaction out of work. What can I do about it? The reality is that these things are all man-made. Humans created them, and humans can change them. Somebody started the ball rolling that got us here. Somebody can start the ball rolling that changes the course. As the great change agent Margaret Meade said, “Never doubt that a small group of thoughtful, committed people can change the world. Indeed, it is the only thing that ever has.” Grab the wheel. With that in mind, I give you the Paradoxical Commandments of Government. 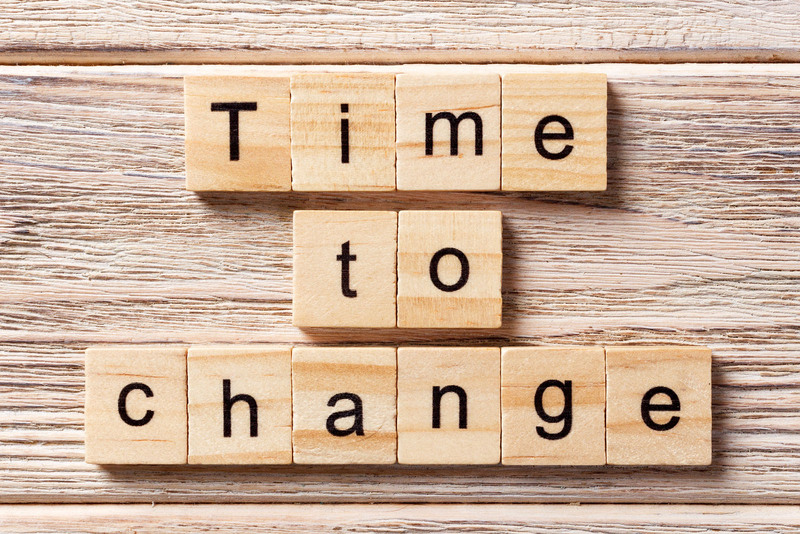 These are the reasons why changing your agency is so hard — and why you should do it anyway. Of course, commandments, like hotdogs, only come in packages of 10 (even though buns come in packages of 12), so I had to whittle down the list. I left out some of the pithier ones, such as, “The councilman’s cousin is going to get the job; try hard anyway,” and “No one will read the report you are working on; write it well anyway.” I have also by no means exhausted all the possibilities. In fact, I’d love to hear more commandments from you, my fellow change agents. The reward for doing good work is more work. Do good work anyway. All the money you save being more efficient will get cut from your budget now and forever. Find efficiencies anyway. All the bold reforms you make will be undone by the next administration. Make bold reforms anyway. There is no time to think about improving what we do. Make time anyway. Employees may fight the change every step of the way. Involve them anyway. The future is unpredictable and largely out of your hands. Plan anyway. The press only cares when something goes wrong. Share your success stories anyway. Legal will never let you do it. Simplify it anyway. If you develop your people they will move on to better jobs. Train them anyway. Your ideas will at best make someone else look good and at worst get you ostracized by your co-workers. Share your ideas anyway.